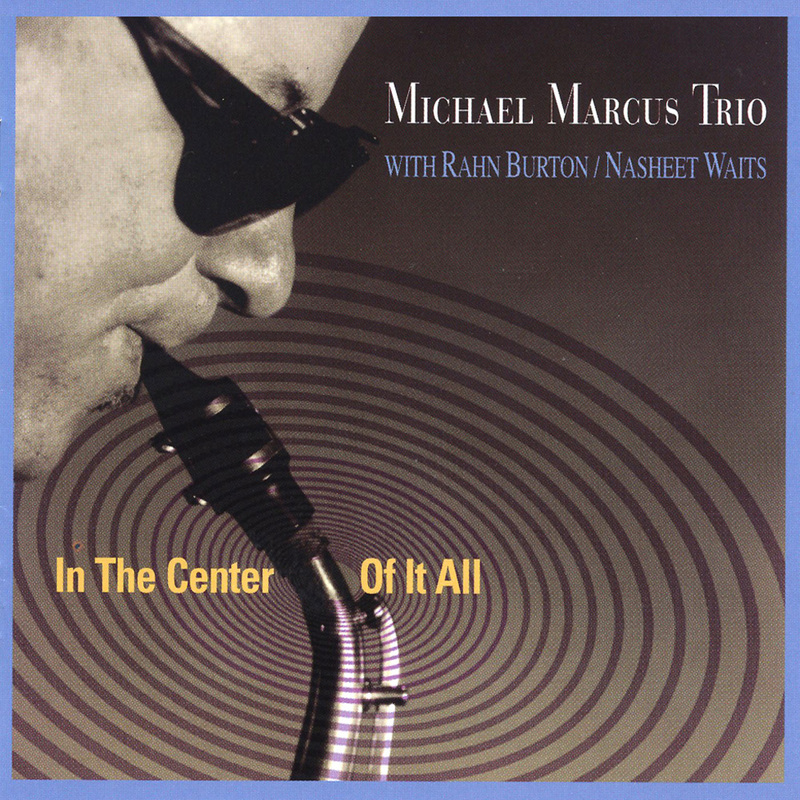 As an exponent of Rahsaan Roland Kirk, Marcus uses a sound on his stritch, saxello, and sopranino saxophone that has a sour, bread-like taste, slightly askew, brimming with life. He's pushing the harmonic envelope while remaining tuneful. For this date, Rahn Burton, longtime pianist for Kirk, is on the organ, an instrument he has rarely recorded with. His approach is very different, more patient, expansive, mellow. Chords linger, burn is minimal. Drummer Nasheet Waits, son of the late drummer Freddie Waits, more than follows in his fathers footsteps, he's circling them, making his own mark as a fine jazz rhythm maker. Of these ten selections with eight originals by Marcus, there's a seething-under-the-surface quality, nothing outrageous, but reverent and patient, as if the trio is waiting for the spirit to pay them a visit rather than endlessly searching for it. Several easy grooves appear as on "Visiting Moments," with slight bossa nova inferences, or the waltz "Flight of the Monarch," where a sopranino's cocooning melody becomes a large butterfly. The title track and "San Francisco Calling" have more church-flavored overtones, the former with dual woodwinds played à la Kirk, the latter with Burton's Sunday morning-informed groove spurred on by two-note horn lines from trombonist Clark Gayton and trumpeter Gary Strauss. The brass duo also shows up for "Goodbye to the Smile" for Marcus' previous bandmate and a Kirk alum, the late pianist Jaki Byard, whom this CD is dedicated to. On this solemn ballad, the horns echo pain and sweetness in a melody quite similar toThelonious Monk's "Ask Me Now." Best cuts are the lowdown blues stroll "Badwater," the Afro-Cuban-tinged arrangement of the standard "Invitation," and a roaring, hard bopping "Walking on Fire," with a distinct Native American-metered coda. The ballad take of Monk's "Pannonica" is also unique in that it takes the angularity of the melody and tilts it more askew without damaging its original intent, a refreshing interpretation. Michael Marcus is on to something here. Hopefully the organ trio concept is not a one shot, but with the demonstrated fertile mind of the leader, it's likely he'll continue to try different combinations of musicians. This triad hit the K spot. Recommended.